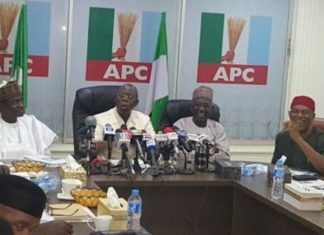 The presidential candidates of some of the leading opposition political parties in the 2019 general election have assured Nigerians that if given the opportunity, the restructuring of the country will constitute integral part of their government’s agenda, saying that is the way to go in fixing the country. 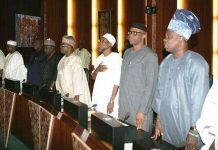 While incumbent President Muhammadu Buhari of the ruling All Progressives Congress (APC) was not present at the event, and did not send a representative, candidates and representatives of five political parties who were panellists on the Osasu Show Symposium, which held at the Nigeria Air Force Conference Centre, Abuja, Thursday, gave a good account of themselves. The presidential candidates of Allied Congress Party of Nigeria (ACPN), Mrs. Oby Ezekwesili; Ali Soyode of YES Party; Tope Fasua of Abundant Nigeria Renewal Party (ANRP); Donald Duke of the Social Democratic Party (SDP), represented by Mrs. Derby Cole, and Alhaji Atiku Abubakar of PDP, who was represented by the spokesman of his campaign organisation, Mr. Segun Sowunmi, all gave insights into what they have planned to accomplish if voted into power. Speaking on behalf of Atiku, who has made restructuring a fulcrum of his campaign, Sowunmi reiterated that Nigeria must be restructured, promising that the Atiku’s government would create jobs. According to him, “There are structural issues that we need to deal with. “Restructuring will give constituent parts of this country the opportunity to move on at their own pace. “How come, from Awolowo down to now, the story has always been the leaders are unable to perform to the level of their optimum and in trying to answer that question, if you allow yourself the robustness of an intellectual mind like Atiku Abubakar, you will conclude that there are structural issues we need to deal with. “Therefore, the need for restructuring of the country to give it the ability to allow the constituent parts of this country to be able to move at the pace that brings growth and prosperity,” Sowunmi stated. Similarly, Soyode said if elected, his government would restructure Nigeria, emphasising that he would accomplish the restructuring within one year. “The constitution of the Federal Republic of Nigeria, until amended, is vague. We are talking about Nigeria Constitution being defective. If we are using defective constitution to swear-in a governor, swear-in a president, which means you are using something you do not believe in to bring them into office. So, we need to do something about the constitution. “If there is something called pre-election agreement, I will sign it today that within a year of my presidency, the restructuring that we have been talking about will be executed. Nigeria needs a leader who knows what it takes to build and unite this country and I am that man”, Soyode added. On her part, Ezekwesili, said that the most fundamental thing is to tackle and bring down the rising rate of poverty in Nigeria, promising that given the mandate of Nigerians she would drastically cut down the cost of governance and channel the saving towards developmental projects. She lamented that there is inequality among Nigerians with about 87 million surviving on less that N700 per day, saying maternal and child mortality rate are on the increase while generally life is cheaper. “We must get back the dignity and sanctity of Nigerian life. Our security needs to be professionalised. We need to be pre-emptive, proactive and preventive. It is worst for your people to be killed and you react. “People are feeling abandoned and are giving their allegiance to nincompoops coming their way. We will connect, tackling poverty to human capital development. The budget cannot be giving everybody hand-outs. 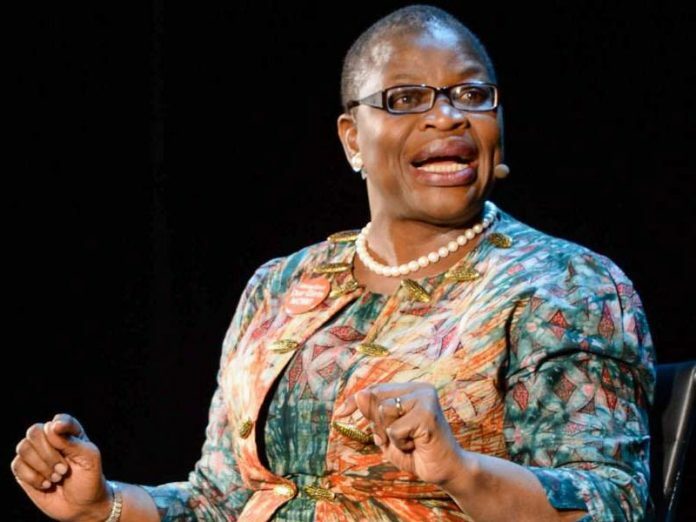 You must focus on sound economic and social policies,” Ezekwesili noted. Fasua said that he is nation builder, stepping up for two or three reasons: Nigeria is a country of abundance and that is why we named our party Abundant Nigeria Renewal Party (ANRP). The high point of the dialogue was the altercation that ensued between the Minister of Transportation, Hon. Rotimi Ameach and Senator Dino Melaiye. Responding to the issue of budget delays, which Amaechi blamed on the National Assembly, Melaye said the truth is that budget always get delayed by the executive through the antics of its ministries and parastatals. He said that Nigerians should remember that at a point, the leadership of the National Assembly wrote to the president urging him to order his ministers to appear before the relevant committees to defend their budget, saying the great source of corruption bedevilling the country is the fraud in the procurement system. He also said that all political appointees in the country need to be born again if the country wants to move the country forward. 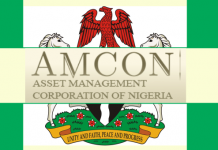 “I know my friend, Amaechi can speak more eloquently than he has done. “Normally he will speak more precision than this but you are saying the truth it would never flow. Whether the president reads all the laws or not, we all are “Nigerians and we know ourselves, no one can give what he does not have. President Muhammadu Buhari is not intellectually, emotionally, physically and mentally equipped to govern this country,” he said. But Amaechi interjected saying: “I listened to my friend, Dino talk about the budget; he knew they didn’t pass the budget on time. They passed the budget four months to the end of the year”. Both men looked at each other, eye-ball-to-eye-ball as they argued over the performance of the present administration. The Minister said the truth is that the executive submits the budget early in the year, but the lawmakers sat down and wrote the budget linking projects to their villages and thereby skyrocketed costs. However, there was mild drama when the hall turned rowdy as the Minister of Transportation stood up to pose question at the panellists. 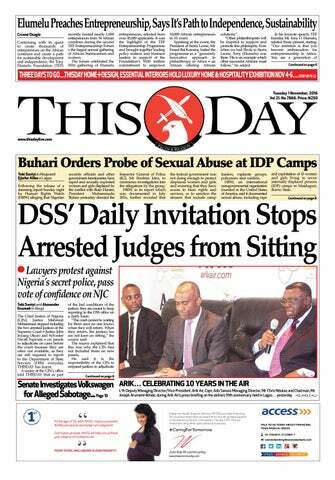 Amaechi was criticising the privatization done by the previous administration when he was booed, and told to sit down. All efforts made by Amaechi to speak in defense of the President Buhari leadership met with deafening shout of ‘’no, no’’ from the enraged audience. He also commended the representative of the SDP candidate, Derby Nicole for commending the government’s achievement in the railway sector and noted that the government introduced the Not-Too Young- to-Rule before the audience got irritated and insisted that he must sit down. His effort to conclude his thought was vehemently resisted by the audience who shouted the minister down.